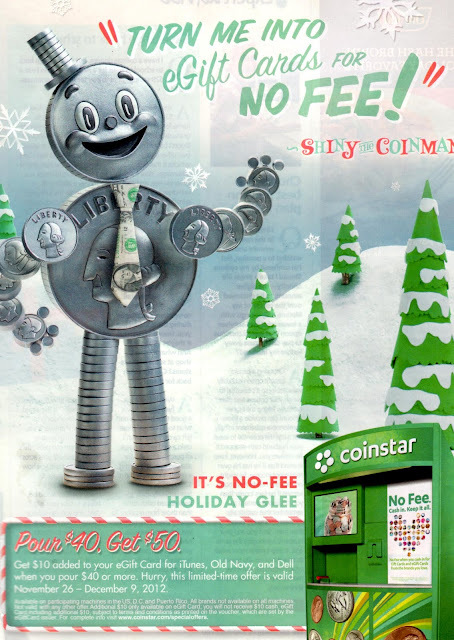 Coinstar is offering an additional $10 in gift card value with a $40 coin deposit. Turn $40 in coins into $50 e-gift cards for Old Navy, iTunes, or Dell. Offer is valid Monday, November 26 - Sunday December 9, 2012. Visit coinstar.com to find a machine near you.